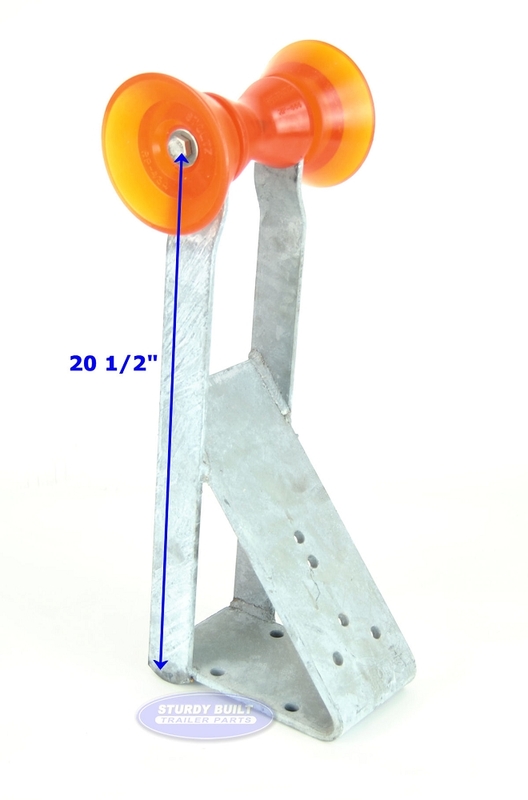 This is Winch Seat, also referred to as a Winch Stand, that mounts on 3 inch Wide Winch Posts. 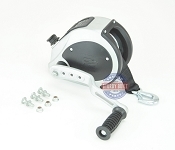 These types of Winch Stands are common on all types and brands of Boat Trailers. This particular item is not Brand Specific, so it is possible to outfit it on any Make of Model of Trailer that has a 3 inch Wide Post. The pictures of the Item has detailed measurements to assist you in ensuring this Winch Posts will adapt to your Boat Trailer. 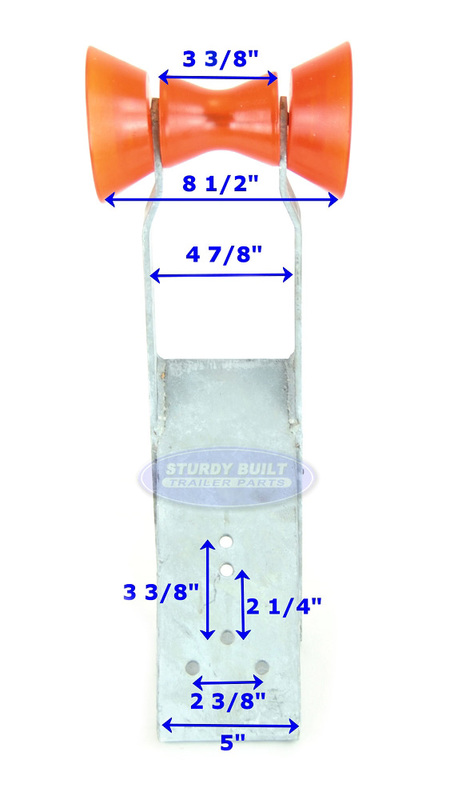 The Orange Bow Stops and Bells are Stoltz Brand High Quality Poly Material. They are mounted to the Winch Stand with a 1/2" Stainless Steel Bolt to ensure the long life of this product. 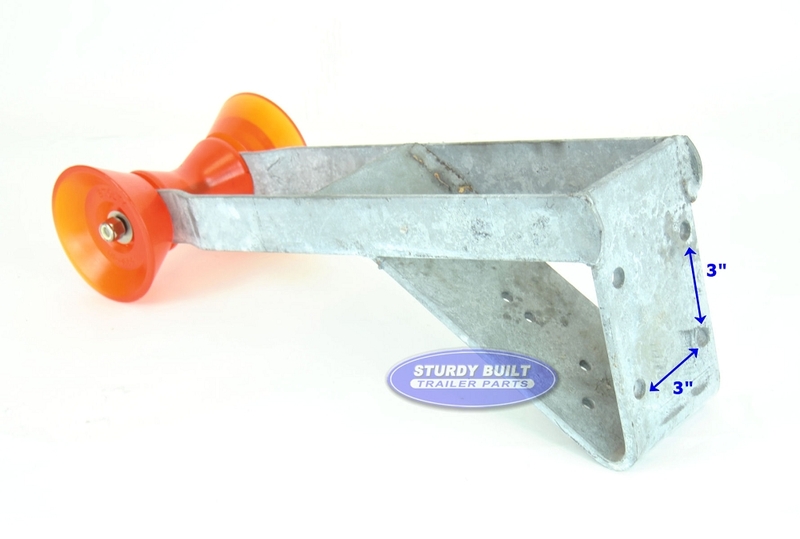 To mount this Winch Stand, typically you will need (2) 1/2" Inch Diameter Boat Trailer U-Bolts. These U-Bolts will need to be 3" Wide Inner Diameter. To determine the length of U-Bolt you need measure the diameter of your Winch Posts to ensure you get the correct length. The U-Bolts go from the backside of the Winch Post, through the Holes in the Stoltz Winch stand, and are fastened tightly. 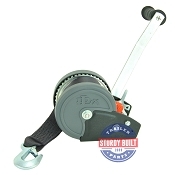 To select the appropriate Hand Crank winch if your needing a replacement, go to Trailer Winches and Accessories.